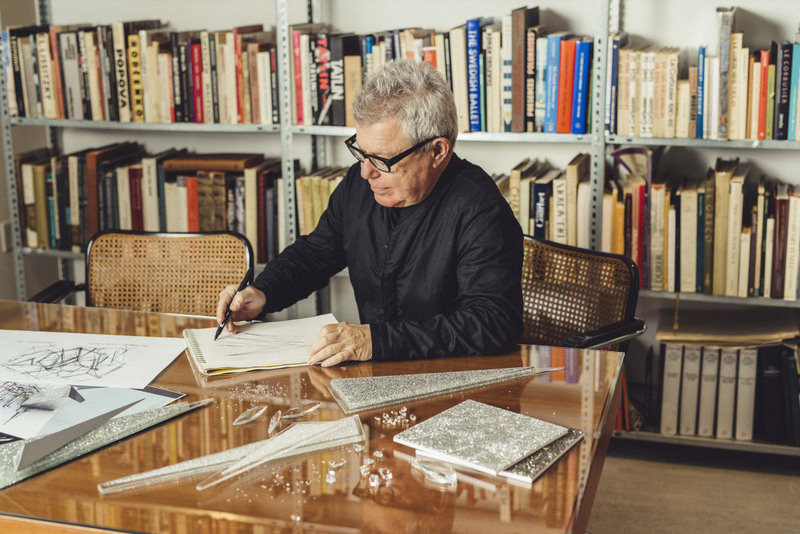 Swarovski Crystal first announced that it had chosen Daniel Libeskind to overhaul the iconic Rockefeller Center Christmas Tree star back in May, and the massive ornament was swung into place early this morning. Libeskind, no stranger to projects with jutting angles, designed a spherical crystal bonanza, radically updating the original, two-dimensional Swarovski star (which hadn’t seen a design change since its original unveiling in 2004). While the previous star was large—nine-and-a-half feet in diameter by one-and-a-half feet deep and decked out in 25,000 crystals—Libeskind's is even bigger. The new star is a radiant ball made up of 70 triangular spikes, completely covered in three million Swarovski crystals, and measures nine feet and four inches in diameter. Each spike is attached to its own light, and the electrical component forms the core of the star. When fully lit up each spike is meant to glow from within, with the light ultimately refracted by the topper’s crystal facade. All told, Libeskind’s star weighs 900 pounds, easily dwarfing the previous 550-pound version. Libeskind met with Nadja Swarovski, a member of the Swarovski executive board, in Rockefeller Plaza to watch the star-raising ceremony this morning. “The new Swarovski Star for the Rockefeller Center Christmas Tree is inspired by the beauty of starlight,” said Libeskind, “something that radiates meaning and mystery into the world. The Star is a symbol that represents our greatest ambitions for hope, unity, and peace. I am tremendously honored to collaborate with Swarovski on the Star, and with the entire design team, to bring cutting-edge innovation and design to crystal technology.” The Star Boutique, a 200-square-foot Swarovski popup also designed by Libeskind, will open later this month in Rockefeller Plaza. The interior and branding will all reference the crystalline form of the star itself, and a life-size replica of the Rockefeller Center Star will be on display outside for guests to examine close-up. This year’s Rockefeller Center Christmas Tree lighting ceremony will take place on November 28. 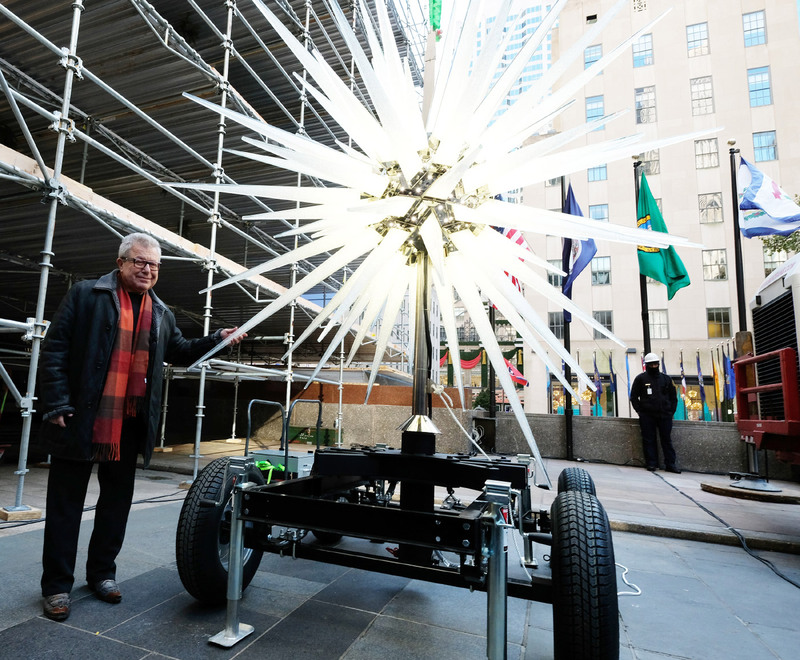 Swarovski Crystal has tapped Polish-American architect Daniel Libeskind to design the star topper for this year’s Rockefeller Center Christmas Tree, marking the first new star from Swarovski since 2004. While scant few details of Libeskind’s design have been revealed yet (the star won’t be unveiled until November), the installation will be massive. Weighing in at around 800 pounds of crystal, the three-dimensional installation will emanate light from within in an astronomically-inspired touch. Libeskind’s canon of work is well known for dramatic lines, twisting geometries, and jutting angles, making him a natural fit for both the material as well as the inherently angled shape of the star. From the sketches released so far, it appears that the new star will radiate long, thin shards from a central point in all directions; the current tree topper is a flat, bedazzled take on the more traditional five-pointed star. “The new Swarovski Star for the Rockefeller Center Christmas Tree is inspired by the beauty of starlight,” said Libeskind in a statement, “something that radiates meaning and mystery into the world. The Star is a symbol that represents our greatest ambitions for hope, unity and peace. 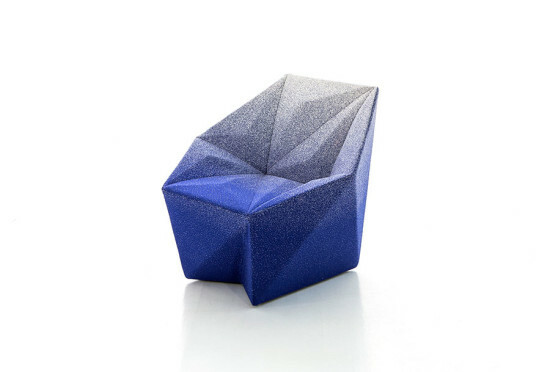 I am tremendously honored to collaborate with Swarovski on the Star, and with the entire design team, to bring cutting-edge innovation and design to crystal technology.” This isn’t the first time that Libeskind has collaborated with the luxury crystal company. The architect completed a Swarovski chess set in 2016, designing pieces that resemble famous architectural forms. The set blends typical construction materials–marble and concrete–with lux silver and Swarovski crystal for the higher ranking pieces and trim for the board itself. At The Architect’s Newspaper, we’re plain addicted to Instagram. Sure, we love seeing Brutalist concrete through “Inkwell” or “Ludwig” filters, but there’s also no better place to see where architects are getting their inspiration, how they’re documenting the built environment, and where they’ve traveled of late. Below, we bring you some of the best Instagrams of this past week! (Also, don’t forget to check out our Instagram account here.) 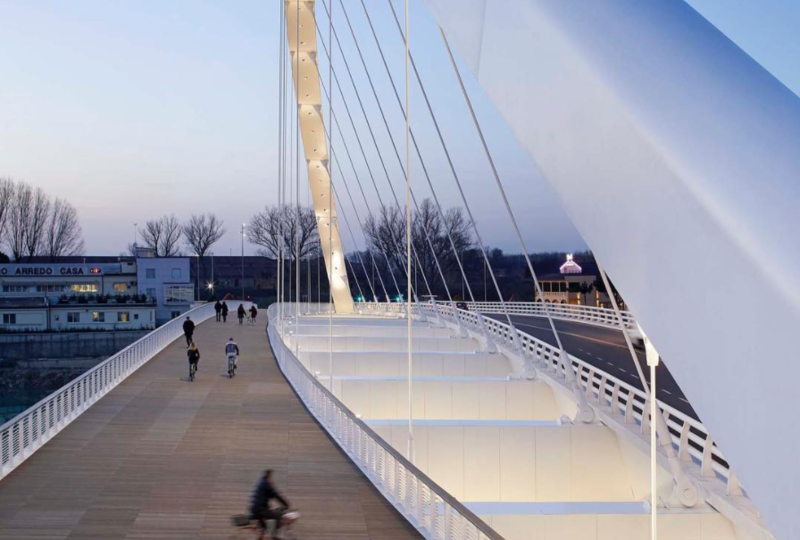 Richard Meier & Partners unveiled a dual pedestrian and vehicular bridge in Alessandria, Italy, suspended from an enormous white steel arc. Sleek, Richard. https://www.instagram.com/p/BZgzzhAAhEe/?taken-by=richardmeierpartners Adjaye Associates released new, more detailed renderings for the new home of the Studio Museum in Harlem this week – along with this gorgeous model (via Field Condition). The five-story building block structure will increase the museum's space by 115 percent. It will break ground next year. https://www.instagram.com/p/BZg5koFFWWi/?taken-by=field_condition Not to over-saturate your feed with Iwan Baan, but he's just ... so good at what he does. Here, an aerial of BIG's big new LEGO House in Billund, Denmark – a terraced, colorful playground for adults and children alike. https://www.instagram.com/p/BZl7egsBk2t/?taken-by=iwanbaan Any excuse for a garden wall. Steven Holl Architects here tried a mock-up vertical sedum for the Kennedy Center expansion. https://www.instagram.com/p/BZWMirrAprB/?taken-by=stevenhollarchitects You thought you could escape Thomas Heatherwick for a second – but here he is again, haunting your weekend. The Heatherwick-designed Zeitz Museum of Contemporary Art Africa opened in Cape Town last week, featuring immense sections cut out of concrete grain silos to form a central atrium. We demand receipts. https://www.instagram.com/p/BZV0CXohcx9/?taken-by=zeitzmocaa Finally, from Mexico City-based architect Michael Rojkind and his firm Rojkind Arquitectos, a sobering view of the future of reconstruction needed in the aftermath of the city's most recent earthquakes. He will be at a MAS Context fundraiser in Chicago to provide an update from Mexico City. https://www.instagram.com/p/BZha3qXF0M_/?taken-by=rojkindarquitectos That’s it for today, hashtag archilovers and quote-on-quote gallerinas. See you next week for more drama. Studio Libeskind would not exist without immigration. 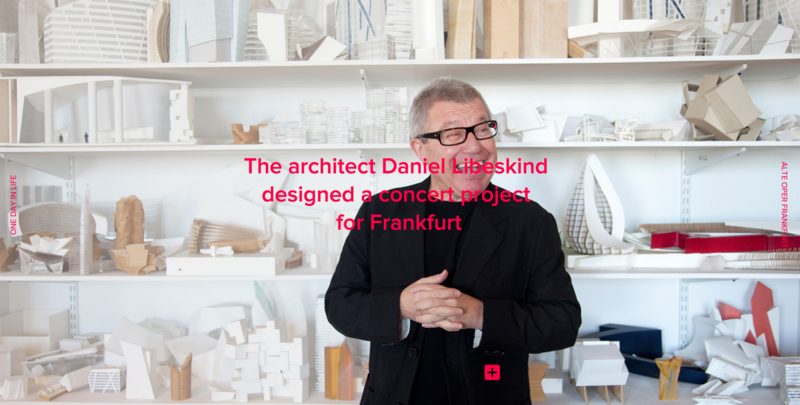 Daniel Libeskind immigrated to the United States, fleeing persecution and Communist rulers in Poland. His wife, Nina, co-founder of the practice, is Canadian. Daniel and Nina run the studio with three partners from the US, Germany and Afghanistan. Our Studio in New York is comprised of the most dedicated and talented architects and designers from more than a dozen countries. On any given day one can hear French, Spanish, Farsi, Italian, German, Chinese, Russian, Hebrew, Dutch, Turkish, Swedish, Arabic, and Korean spoken. This diversity makes us stronger and makes this practice uniquely American, not the other way around. The Trump travel ban is an affront to our freedom and core values. It affects our employees, colleagues and collaborators. Now is the time for us to join hands and take a stand. On January 21, the Studio brought nearly a 100 people to march on Washington DC. We are actively boycotting companies that support the current administration’s policies. But there is still more to do. We invite our colleagues in the architecture, design and construction communities to join us. On May 21st, "One Day in Life," a 24-hour musical experience, will take over the German city of Frankfurt. The two day event will feature 75 performances sprawled across the city in unusual locations, all curated by Polish-American architect Daniel Libeskind. 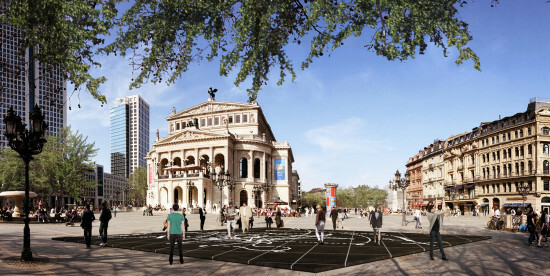 Initiated and commissioned by the Alte Oper (Old Opera) Frankfurt, the project seeks to break free from the conventional concert hall framework. The locations, as chosen by Libeskind, range from the Commerzbank Arena (Frankfurt's soccer stadium) to hospital operating rooms, boxing arenas, Oskar Schindler's house, and even the underground repositories of the German National Library. The music has also been chosen by Libeskind, showcasing an equally eclectic diversity. Renowned artists and students will perform classical and contemporary orchestral numbers as well as Indian Ragas and electronic music. 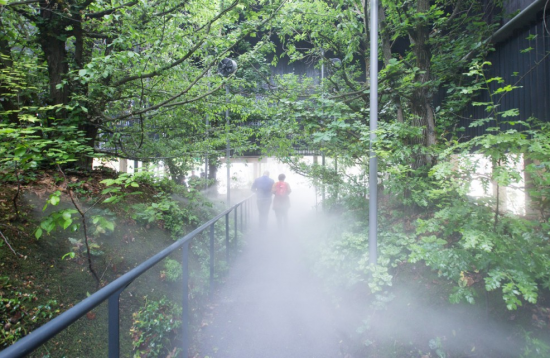 To ensure that as many visitors get a chance to be involved, performances will be repeated multiple times at each location, with two-hour intervals. A full listing of the program can be found on the event website. 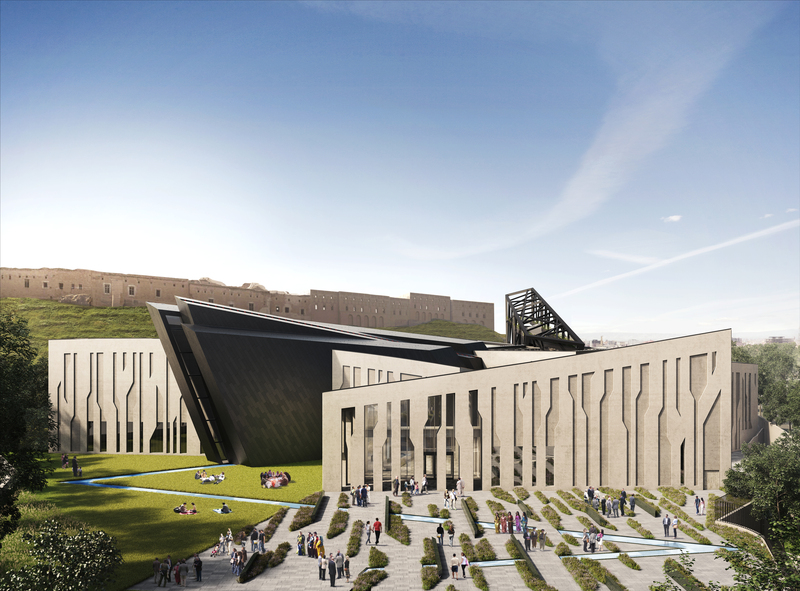 Daniel Libeskind has released the design for a 33,400 square-foot, contemporary art center in the heart of Vilnius, Lithuania, a city famous for its baroque architecture and medieval old town. The center, which represents Vilnius past and present, was designed by Studio Libeskind in partnership with Do Architects and Baltic Engineers. It is the first center ever to be dedicated solely to modern and contemporary art by Lithuanian artists. “We wanted to create a museum for the people of Lithuania, and also give this collection a home and an international audience," Viktoras Butkus, co-founder of the nonprofit Modern Art Center (MAC), said in a statement. "This collection is about the cultural legacy of the country. 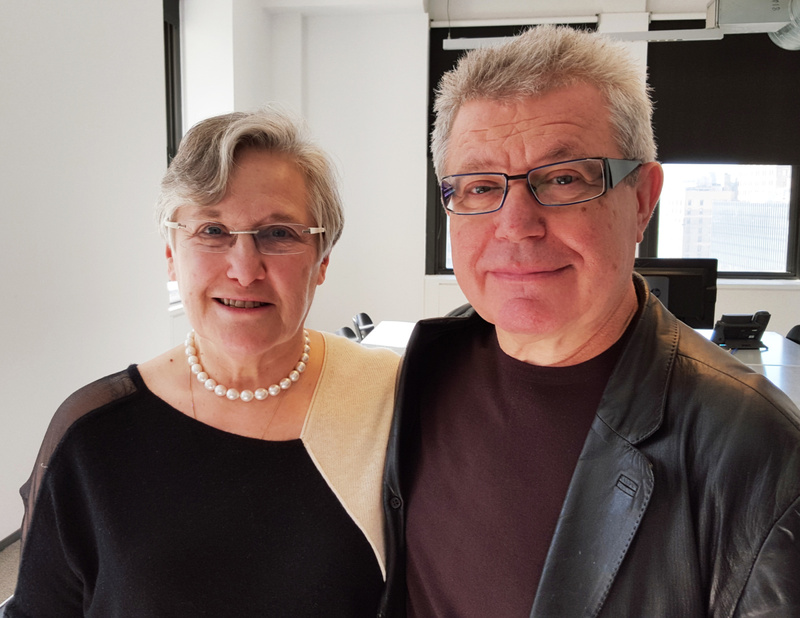 Libeskind’s work is expressive, innovative, and, most importantly, has the power to tell the story of the past while connecting to the future of the city.” The museum will house works solely by Lithuanian artists, ranging from the 1960s through the present day. Works include: Vincas Kisarauskas "Falling Broken Man" 1965; Arvydas Saltenis "Woman" 1972; and Kostas Dereskevicius "Mailboxes" 1987; photographs by Antanas Sutkus "J. P. Sartre ir S. de Beauvoir in Lithuania"; video by Deimantas Narkevicius "The Dud Effect." Being a Modern Art Center in a historic city, the design takes into account the local architecture both formally and materially, according to Libeskind. For instance, the structure is comprised of two intertwining forms that create indoor and outdoor spaces, while the exterior is clad in white concrete—already a prevalent material throughout the city. An interior courtyard cuts through the entire building, featuring a staircase that runs to a public planted roof and sculpture garden which connect to the street-level piazza. 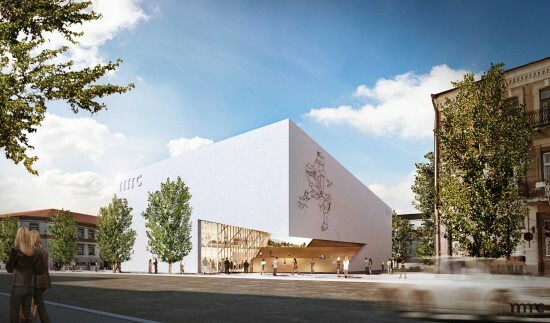 “The Modern Art Center not only creates a home for this extraordinary collection, but the design connects the galleries to the street and the urban fabric—giving the citizens of Vilnius a new cultural center infused with public space,” Libeskind said in a statement. The design calls for floor-to-ceiling glazing that will flood the interior galleries with light, and a 16-foot cantilever will provide shading, regulating the southern facing exposure. The north side has a three-story, 33-foot-tall glazed entrance, which opens into a sun-filled lobby. An open floor plan connects all the galleries, in which 10,800 square-feet are dedicated to both permanent and temporary exhibitions. The design also includes a café, bookstore, educational areas, auditorium, and a storage and administrative space. 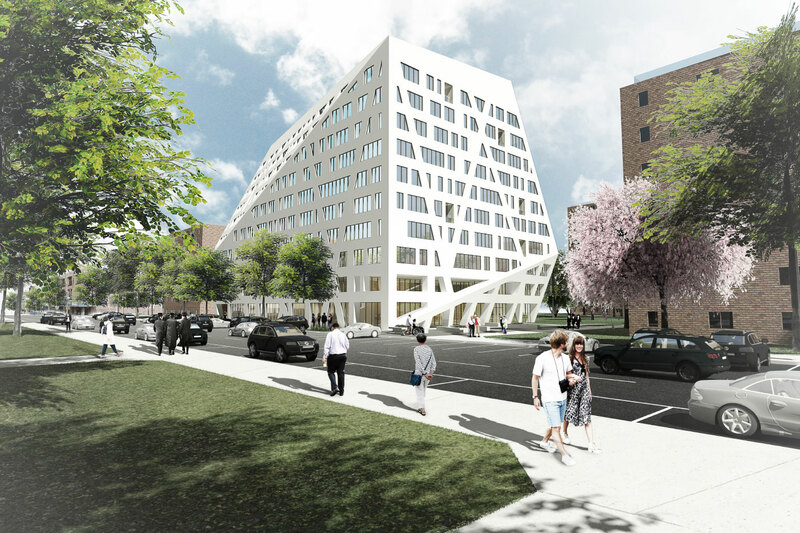 The Lithuanian Modern Art Center will begin construction in 2017 and should be complete by early 2019. Drawing Ambience: Alvin Boyarsky & the Architectural Association Cooper Union 30 Cooper Square, New York Through November 25, 2015 Boasting a remarkable array of artwork from both past and contemporary architectural figures such as John Hejduk, Michael Webb, Daniel Libeskind, Frank Gehry, Zaha Hadid, Rem Koolhaas, and Bernard Tschumi, Drawing Ambience reflects and encourages the late Alvin Boyarsky’s assimilation of architectural drawings. During his tenure at the Architectural Association in London, Boyarsky developed a profound appreciation of these drawings. Known as a man with a keen eye for talent, Boyarsky fostered many young architects who would later dominate the field. He urged his students to investigate contemporary issues and use the evolving global culture as a vehicle to develop their own architectural agendas. These agendas manifested in the students’ visual work that Boyarsky regarded as equally important to the physical structures they depicted, viewing them as pieces of architecture in their own right. 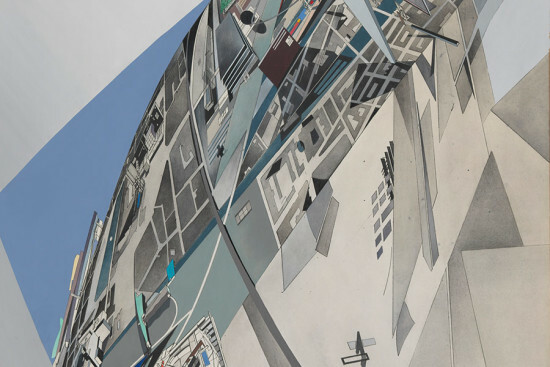 Visitors can expect to see works ranging from Hadid’s chaotic and crisp visualizations of her un-built projects to Koolhaas’ playful, almost Gameboy-esque The Pleasure of Architecture. The exhibition is currently on view at the Cooper Union in the Arthur A. Houghton Jr. Gallery and closes on November 25.